St. Martin's Press, 9781250136657, 320pp. MICHAEL R. MCGOWAN is a 35–year law enforcement veteran, having first served as a police officer before joining the FBI more than 30 years ago. 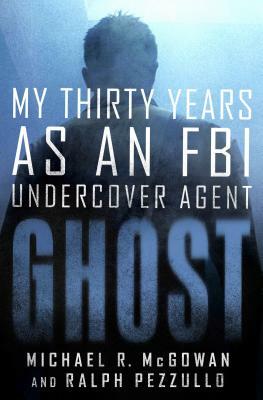 He has spent the past 30 years working domestic and international undercover operations. He has been recognized at the highest levels for his undercover assignments. He lives in New England. RALPH PEZZULLO is a New York Times bestselling author and award-winning playwright, screenwriter and journalist. His books include Jawbreaker, Inside SEAL Team Six and others. He lives in California. “Michael McGowan and Ralph Pezzullo’s brilliant and unflinching account of Mr. McGowan’s career as an undercover FBI Special Agent takes you into the soul of this unsung American hero, and into the strip clubs, and hotel suites where he outwitted the world’s top criminals—including three Italian Mafia families, the Russian Mob, and El Chapo Guzman and the Sinaloa Cartel. Ghost is absolutely riveting. I couldn’t put it down.” —Don Mann, longtime member of SEAL Team 6 and New York Times bestselling author.